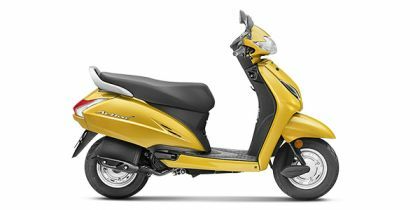 Honda Activa 5G price in Bangalore starts from Rs. 56,605 (Ex-showroom). Activa 5G is available in only 2 variant. The top-end variant Honda Activa 5G DLX is priced at Rs. 58,470. Honda Activa 5G's top competitors are TVS Jupiter (price starting at Rs. 55,078 in Bangalore) and Suzuki Access 125 (price starting at Rs. 57,254 in Bangalore).